In the past few decades, thousands of exoplanets have been discovered in neighboring star systems. In fact, as of October 1st, 2017, some 3,671 exoplanets have been confirmed in 2,751 systems, with 616 systems having more than one planet. Unfortunately, the vast majority of these have been detected using indirect means, ranging from Gravitational Microlensing to Transit Photometry and the Radial Velocity Method. What’s more, we have been unable to study these planets up close because the necessary instruments do not yet exist. Project Blue, a consortium of scientists, universities and institutions, is looking to change that. Recently, they launched a crowdfunding campaign through Indiegogo to finance the development of a space telescope that will start looking for exoplanets in the Alpha Centauri system by 2021. In addition to its commercial and academic partners, Project Blue is a collaborative effort between the BoldlyGo Institute, Mission Centaur, the SETI Institute, and the University of Massachusetts Lowell. It is steered by a Science & Technology Advisory Committee (STAC) composed of science and technology experts who are dedicated to space exploration and the search for life in our Universe. As noted, virtually all exoplanet discoveries that have been made in the past few decades were done using indirect methods – the most popular of which is Transit Photometery. This method is what the Kepler and K2 missions relied on to detect a total of 5,017 exoplanet candidates and confirm the existence of 2,470 exoplanets (30 of which were found to orbit within their star’s habitable zone). This method consists of astronomers monitoring distant stars for periodic dips in brightness, which are caused by a planet transiting in front of the star. By measuring these dips, scientists are able to determine the size of planets in that system. Another popular technique is the Radial Velocity (or Doppler) Method, which measures changes in a star’s position relative to the observer to determine how massive its system of planets are. These and other methods (alone or in combination) have allowed for the many discoveries that have been made to take place. But so far, no exoplanets have been directly imaged, which is due to the cancelling effect stars have on optical instruments. Basically, astronomers have been unable to spot the light being reflected off of an exoplanet’s atmosphere because the light coming from the star is up to ten billion times brighter. The challenge has thus become how to go about blocking this light so that the planets themselves can become visible. One proposed solution to this problem is NASA’s Starshade concept, a giant space structure that would be deployed into orbit alongside a space telescope (most likely, the James Webb Space Telescope). Once in orbit, this structure would deploy its flower-shaped foils to block the glare of distant stars, thus allowing the JWST and other instruments to image exoplanets directly. But since Alpha Centauri is a binary system (or trinary, if you count Proxima Centauri), being able to directly image any planets around them is even more complicated. To address this, Project Blue has developed plans for a telescope that will be able to suppress light from both Alpha Centauri A and B, while simultaneously taking images of any planets that orbit them. It’s specialized starlight suppression system consists of three components. First, there is the coronagraph, an instrument which will rely on multiple techniques to block starlight. Second, there’s the deformable mirror, low-order wavefront sensors, and software control algorithms that will manipulate incoming light. Last, there is the post-processing method known as Orbital Differntial Imaging (ODI), which will allow the Project Blue scientist to enhance the contrast of the images taken. Given its proximity to Earth, the Alpha Centauri system is the natural choice for conducting such a project. Back in 2012, an exoplanet candidate – Alpha Centauri Bb – was announced. However, in 2015, further analysis indicated that the signal detected was an artefact in the data. In March of 2015, a second possible exoplanet (Alpha Centauri Bc) was announced, but its existence has also come to be questioned. If Project Blue meets its crowdfunding goals, the organization intends to deploy the telescope into Near-Earth Orbit (NEO) by 2021. The telescope will then spend the next two years observing the Alpha Centauri system with its corongraphic camera. All told, between the development of the instrument and the end of its observation campaign, the mission will last six years, a relatively short run for an astronomical mission. However, the potential payoff for this mission would be incredibly profound. By directly imaging another planet in the closest star system to our own, Project Blue could gather vital data that would indicate if any planets there are habitable. For years, astronomers have attempted to learn more about the potential habitability of exoplanets by examining the spectral data produced by light passing through their atmospheres. However, this process has been limited to massive gas giants that orbit close to their parent stars (i.e. “Super-Jupiters”). While various models have been proposed to place constraints on the atmospheres of rocky planets that orbit within a star’s habitable zone, none have been studied directly. Therefore, if it should prove to be successful, Project Blue would allow for some of the greatest scientific finds in history. What’s more, it would provide information that could a long way towards informing a future mission to Alpha Centauri, such as Breakthrough Starshot. This proposed mission calls for the use of a large laser array to propel a lightsail-driven nanocraft up to relativistic speeds (20% the speed of light). At this rate, the craft would reach Alpha Centauri within 20 years time and be able to transmit data back using a series of tiny cameras, sensors and antennae. As the name would suggest, Project Blue hopes to capture the first images of a “Pale Blue Dot” that orbits another star. This is a reference to the photograph of Earth that was taken by the Voyager 1 probe on February 19th, 1990, after the probe concluded its primary mission and was getting ready to leave the Solar System. 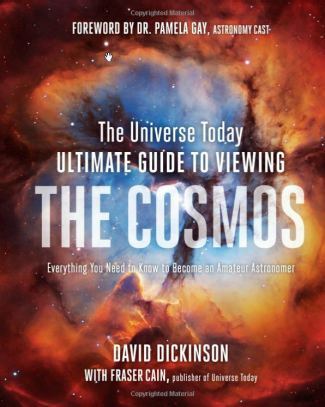 The photos were taken at the request of famed astronomer and science communicator Carl Sagan. 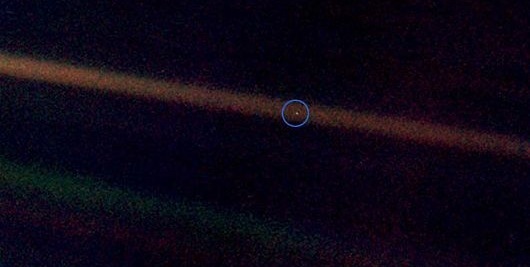 When looking at the photographs, Sagan famously said: “Look again at that dot. That’s here. That’s home. That’s us. On it everyone you love, everyone you know, everyone you ever heard of, every human being who ever was, lived out their lives.” Thereafter, the name “Pale Blue Dot” came to be synonymous with Earth and capture the sense of awe and wonder that the Voyage 1 photographs evoked. More recently, other “Pale Blue Dot” photographs have been snapped by missions like the Cassini orbiter. While photographing Saturn and its system of rings in the summer of 2013, Cassini managed to capture images that showed Earth in the background. Given the distance, Earth once again appeared as a small point of light against the darkness of space. Beyond relying on crowdfunding and the participation of multiple non-profit organizations, this low-cost mission also seeks to capitalize on a growing trend in space exploration, – which is open participation and collaborations between scientific institutions and citizen scientists. This is one of the primary purposes behind Project Blue, which is to engage the public and educate them about the importance of space exploration. Would have been nice to see a system design schematic rather than the usual airy fairy “let’s all move forward together” HR type speech splashed over totally unconnected images of space and earth. I bet the production person who put it together couldn’t even point out the north star. Inaccurate. While direct imaging of exoplanets is not the main detection strategy because of the technological challenges, we have been conducting images of exoplanets since 2008 (Formalhaut and HR8799). According to the Extrasolar Planet Encyclopaedia (exoplanet.eu) as of today there have been 88 planets detected via direct imaging. Therefore the statement “But so far, no exoplanets have been directly imaged” is totally wrong. Previous PostPrevious Has the First Interstellar Comet Been Discovered?